DX Radio is the hobby of listening to distant radio stations, typically from locations well outside their intended coverage area. Sometimes the weakness of the signal is the challenge, sometimes the amount of interference, and other times the infrequent or irregular schedule of the station. Typically most dx-ing is achieved on the Mediumwave Band (AM band) and the shortwave Tropical Bands between 2 and 6 MHz. The higher shortwave bands 6 to 30 MHz are generally used for true international broadcasting. It's a challenge. Radio propagation isn't constant and many factors influence it. The time of day and the time of year affect the strength of signals. Radiation emitted by the sun changes daily which affects the earth's ionosphere as well as the approximate 11 year cycle of sunspot activity. The weather and the seasons also dramatically affect VHF propagation, with the summer often allowing stations to be heard from many hundreds of miles. For instance Italy, Spain and North Africa are frequently heard in the UK on FM from May through to September. MW DX - Flame Christian Community Radio Flame Radio heard on 1521 kHz. 24 minute recording male presenter, music up to top of hour. MW DX - CBC are closing the 50 kW CBA transmitter on 1070 kHz tomorrow morning at 0700 Atlantic time (1000 UTC). There is a planned "DX Test" scheduled for 0100 Atlantic time (0400 UTC). MW DX - Toronto dominated the DX logs tonight, presenting the best audio. Many other stations heard too, but didn't stay on 700 WLW, 760 WJR for long enough. Solitary station heard in the x-band (1620-1700 KHz) was KVNS from SE Texas. MW DX - With a new EWE aerial across the back of the garden, here are some MW DX logs January 2008 DX logs. Pleasantly surprised at the number of stations heard in the x-band (1620-1700 KHz) from the US and Canada. RDS - Again, lots more changes and additions to my UK Commercial RDS Listing. Thanks also to Neal in the NE for providing off-air details. 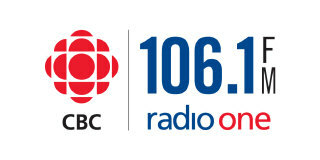 MW - CBC Moncton is soon to leave its MW channel on 1070 kHz (CBA). At present they're simulcasting on 1070 and their new FM channel 106.1 in Moncton, New Brunswick. Quoting the Information Morning webpage - For most people, the New Year means a fresh start. It's a time when many of us focus on improving ourselves.�CBC Radio Moncton is no exception.��We work hard to deliver breaking local news and in-depth interviews.�This year, however, we're also bringing you a better sound.�We're quitting the 1070 AM frequency for a stronger sound and a healthier signal at 106.1 FM. MW - RTE is to switch off their long used MW channel on 567 kHz which carries RTE-1. The Independent.ie website carries an article pointing out that many rural and offshore listeners rely on the MW channel as FM doesn't yet give full coverage - Anger as RTE to switch off medium wave band. However the longwave channel 252 kHz will continue to broadcast Radio 1. RTE's audience in London has long since effectively lost 567 kHz due to Spectrum Radio on 558 kHz. RDS - lots of changes and additions to my UK Commercial RDS Listing.